Crazy rapid fire of red, green, purple and yellow comets building in intensity to a display of large multicoloured bursts with crackling rain, ending in a whistling comet to a thunderous detonation! 90 Shots!!! 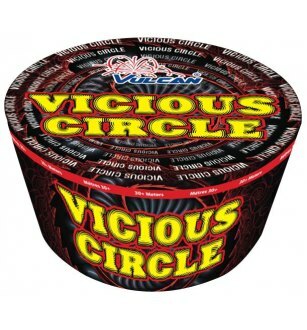 watch Vicious Circle firework in action!